Book your memorable one week vacation stay at this magnificent 250 acres straddling the Smith Fork of the Gunnison River. You will return year after year! After you experience the amazing staff, five star meals, fine wine, world class fishing, world class trail riding, and the luxurious western lodging, you will fall in love. 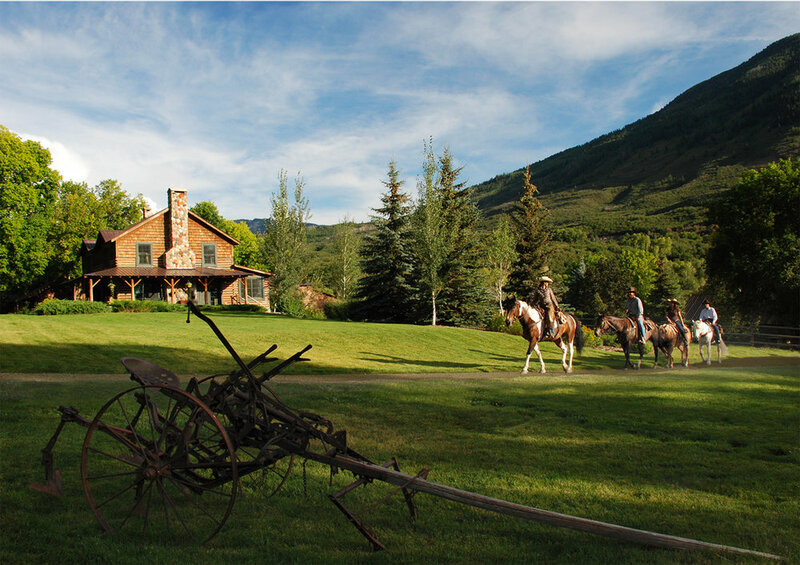 Straddling the Smith Fork River Valley lies the magnificent 250-acre compound, Smith Fork Ranch. 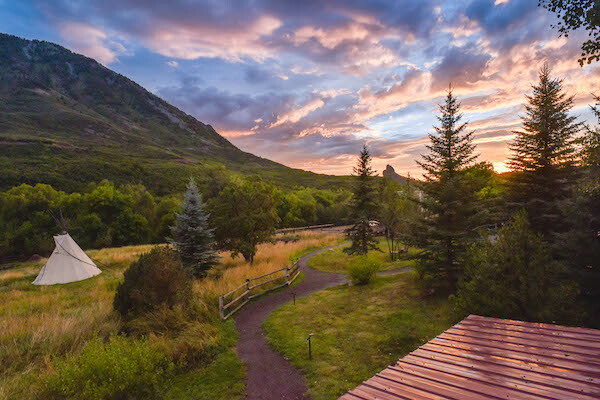 The property encompasses 3 residences, 3 cabins, staff housing and extensive facilities ranging from barns and corrals to pastures and trails, and 3 private miles of the Smith Fork of the Gunnison River — ideally suited as a private family retreat compound or exclusive guest ranch, or both. 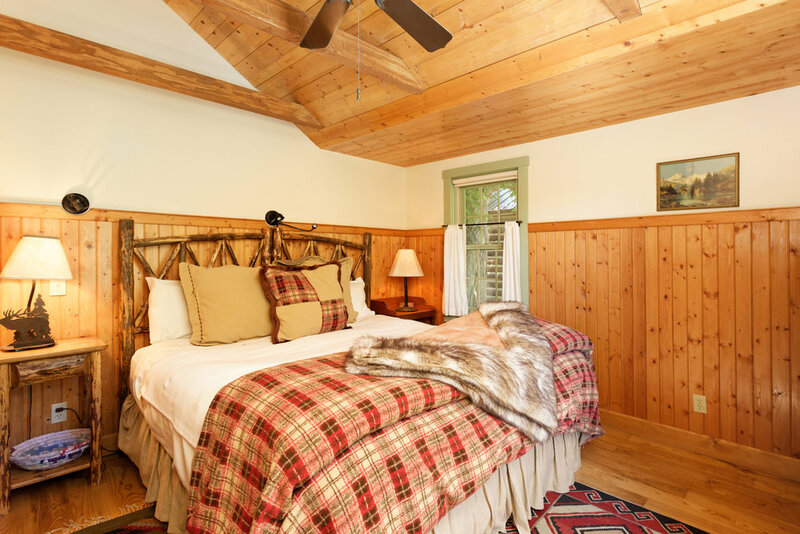 Comfortable and rustically elegant, the interiors at Smith Fork Ranch reveal the owner’s appreciation for the great traditions of the American West. Custom-designed and hand-made pieces mix with American Primitive antiques, art, rugs and accessories from leading western and Native American artisans. Private amenities make it possible to live out a world-class western fantasy. 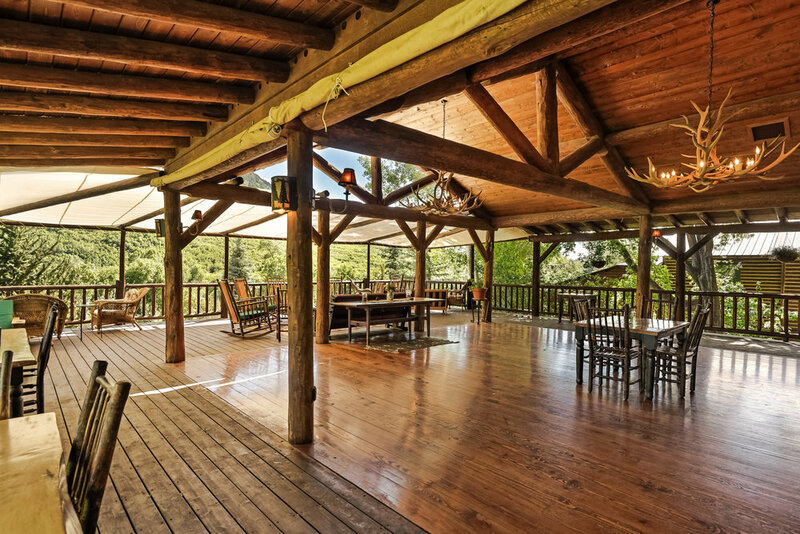 There’s fly fishing, a sporting clays/trap shooting center, a swimming pond with dock, an archery range, trails for hiking, biking or horseback riding, 6 stocked trout ponds, as well as a farmstead offering an 8K sq. 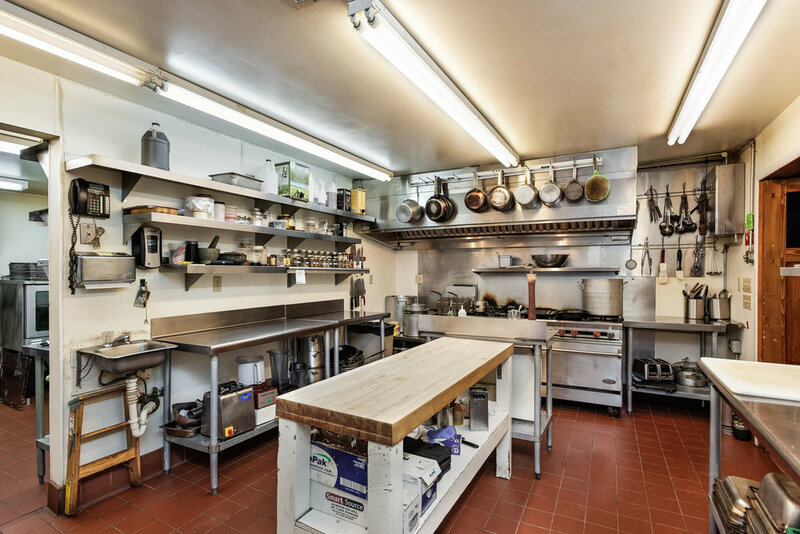 ft. organic garden and chickens, and a renowned wine cellar. 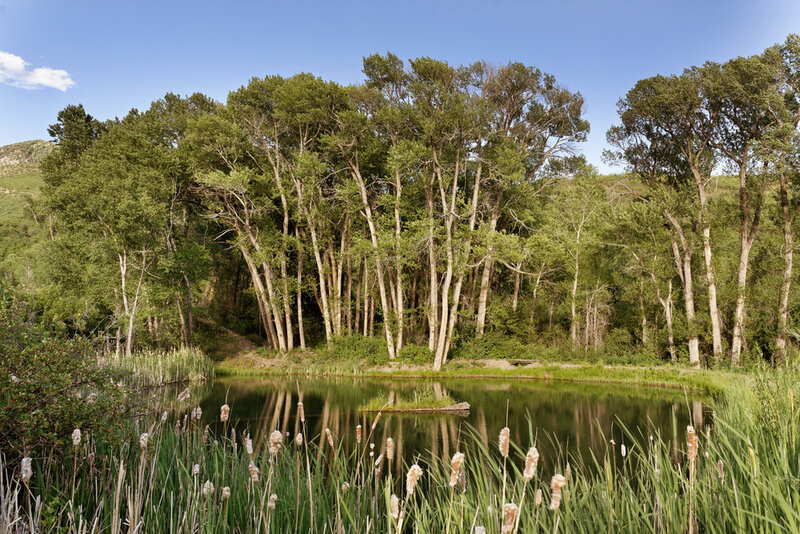 Other amenities include an extensive portfolio of water rights for irrigation, pure mountain spring drinking water and year-round permits for recreation and hunting in the surrounding national forest and wilderness. This unique offering exemplifies all the best that Colorado has to offer, bringing history and artful design together to create an exceptional property. 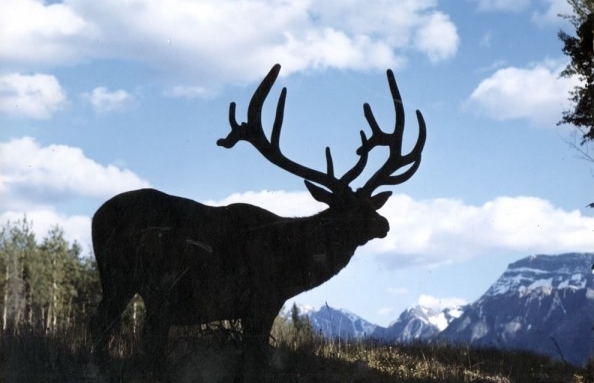 Smith Fork Ranch offers extraordinary views of the West Elk Range of the Rocky Mountains while being nestled in the Gunnison National Forest and West Elk Wilderness, Colorado’s fifth largest and most remote wilderness area. 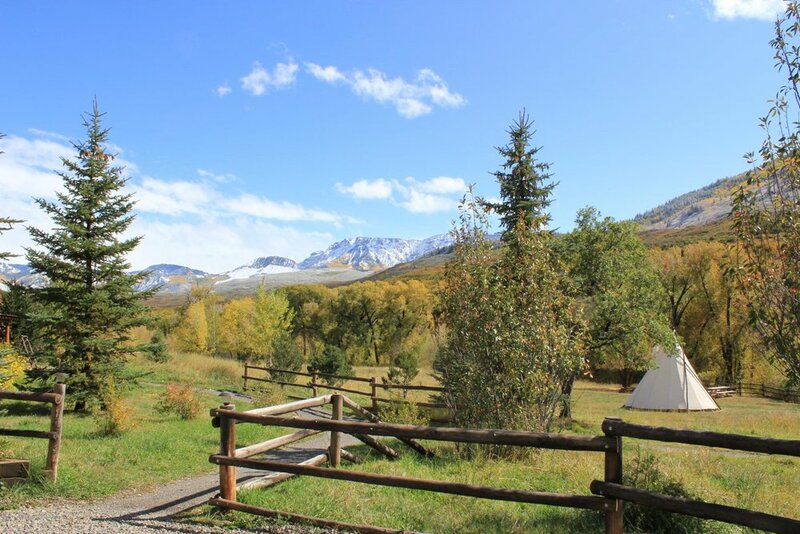 The nationally acclaimed luxury guest ranch property is situated between Aspen and Telluride on Colorado’s Western Slope. The sweeping 250-acre wilderness ranch encompasses three cabins, two log guest homes, and dining and kitchen areas known as Elk Lodge and Dinner Bell Cook House, and an open entertaining space known as Elk Lodge Pavilion and well as a stunning owner’s residence, and multiple outbuildings with staff quarters. 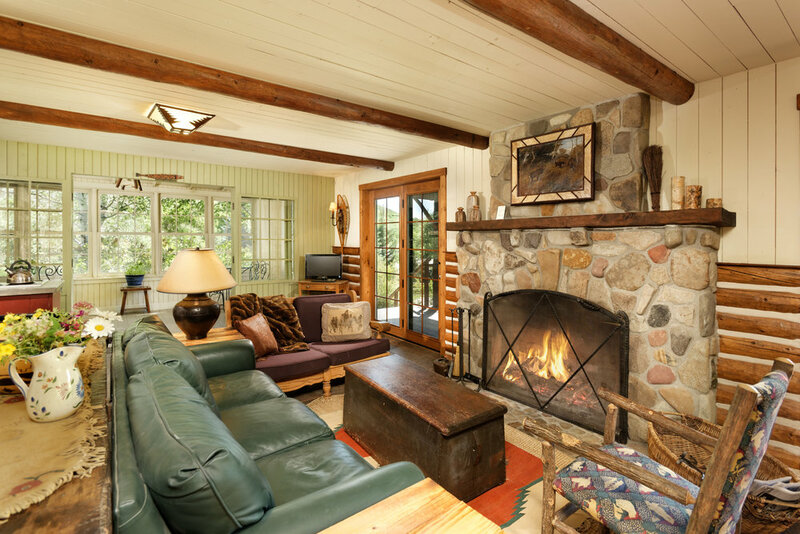 The property was completely restored into a charming guest ranch in 2002 by current owners Marley and Linda Hodgson. Marley Hodgson is the founder of legendary American leather goods company Ghurka and Trafalgar Ltd. 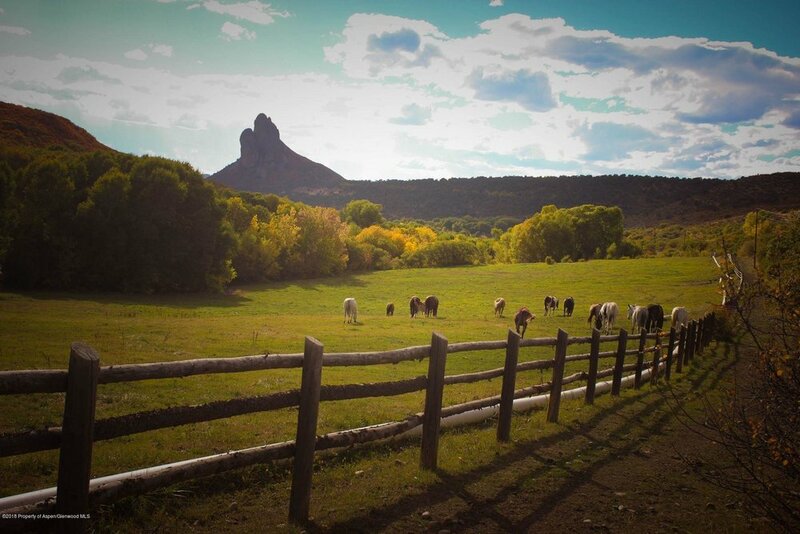 Featuring a 250-foot equestrian arena and more than 150 miles of trails on the ranch and in pristine backcountry. 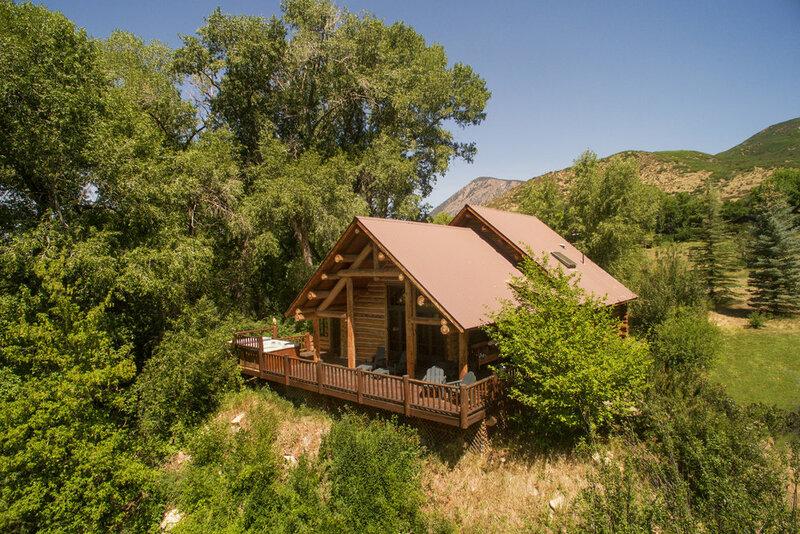 The ranch also includes three private miles of Gunnison River’s Smith Fork and six stocked trout ponds, offering additional gold medal fishing water nearby on the Gunnison River Gorge, collectively more than any other five-star destination in Colorado. The ranch also includes a sporting clay center featuring a beautiful backdrop of the West Elk Range and Saddle Mountain, as well as two archery ranges along the Smith Fork River and a spa with tranquil rooms and streamside grotto. Celebrating farm-to-table, five-star cuisine, Smith Fork Ranch is also a renowned culinary destination, with an on-site organic garden that produces more than 80 varieties of herbs, fruits and vegetables. Smith Fork Ranch is the only ranch of its kind to be recognized by Wine Spectator for its extensive selection of more than 400 fine wines from around the world.